Deux Project partnered with Survival Systems International to provide Exxon Mobil with the equipment, instruments and knowledge they need to achieve a safe evacuation in the event of an emergency on an offshore installation. 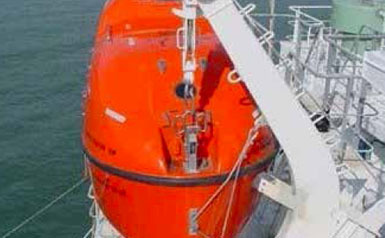 We took over the design, procurement and servicing of all Exxon Mobil life boat and life raft systems in 1998. We now have over 20 units in the Exxon Mobil offshore regions in Nigeria.